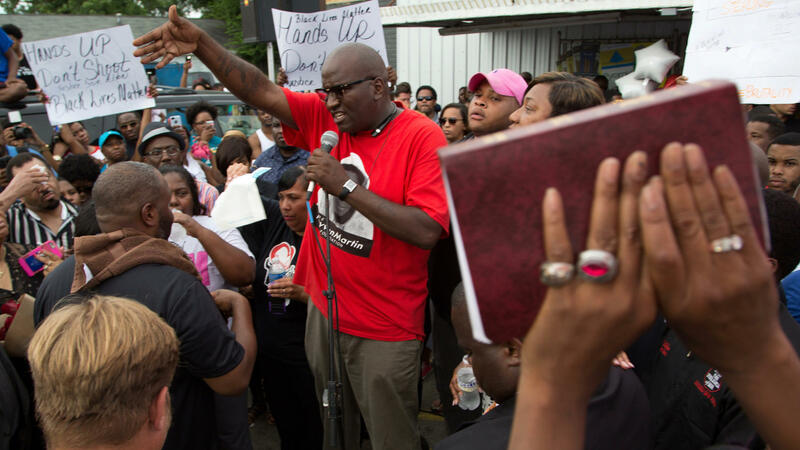 Community members attend a vigil in memory of Alton Sterling, who was shot dead by police, at the Triple S Food Mart in Baton Rouge, Louisiana, U.S. July 6, 2016. America is facing a human rights crisis that must be addressed as a matter of urgency. That’s the gist of findings by a United Nations investigation into conditions for African Americans. And they were released back in January, long before the deaths of Alton Sterling in Baton Rouge and Philando Castile outside of St. Paul. Those killings brought the number of black Americans shot and killed by police in the US so far in 2016 to 123, among 506 citizens slain by the police overall, according to the Washington Post. It’s the kind of sentence many Americans might typically associate with countries in the Middle East, Africa or Asia. “A cry for help,” is how Rev. Lee Wesley describes the situation. He’s the pastor at Community Bible Baptist Church in Baton Rouge. “There’s obviously a problem in our nation between our communities, particularly the African American community and law enforcement,” Wesley says. And there is mistrust and fear on both sides, he adds. Wesley joined fellow members of the interfaith group, “Together Baton Rouge” on Thursday morning to offer condolences and prayers to the family of Alton Sterling, to ask members of the public who are angry to protest peacefully, and to call on the US Department of Justice to conduct a broad and transparent investigation. “They are investigating possible civil rights violations. We encourage them to expand the investigation, to make it much broader than that,” Wesley says. Wesley and other faith leaders say they will continue to keep up public pressure on federal officials to look at the possibility that the officers responsible for the killing of Sterling earlier this week might have broken local or state laws. With worldwide attention focused once again on the issue of police violence in the US, Wesley says people should remember that Baton Rouge is unique. “There are problems. And there are big problems between law enforcement and the local community, again particularly, African American men. We need to address the issue head on. We’re not doing that,” the pastor says. As he sees it, Wesley says a couple of things need to happen. Police officers need better training. And local faith leaders, he says, need to meet with members of the community, especially African American men, to talk about how to deal with police. These issues have to be addressed, “with a total community, both black and white,” Wesley says. “We’re trying to overcome a history, something that didn’t happen overnight, but over a period of years,” Wesley says.